This exfoliating booster will renew the epidermis, smooth the surface of the skin, and increase the amount of NMF (Natural Moisturizing Factors) in the epidermis, thereby improving hydration levels. Fruit acid complex of apple, grape, ginger, and sugarcane are utilized to renovate and exfoliate. 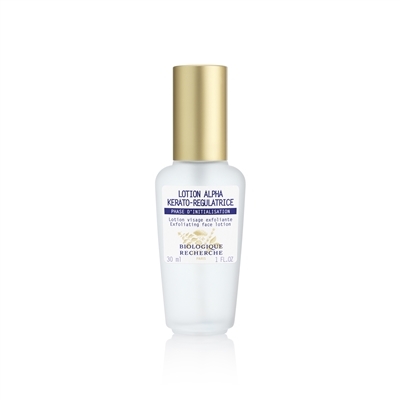 Lotion Alpha Kerato-Regulatrice is an extremely active serum and we recommend applying sunscreen and avoiding direct sun exposure while using this booster. When using, do not apply P50, and avoid applying too closely around the eye area.